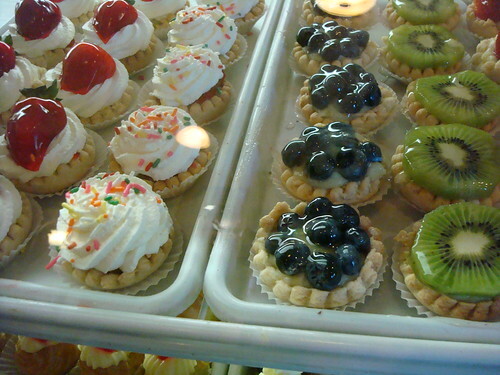 Conti's Pastry: Conti's Pastry shop has been churning out sweetness since 1921, and clearly they're doing something right. 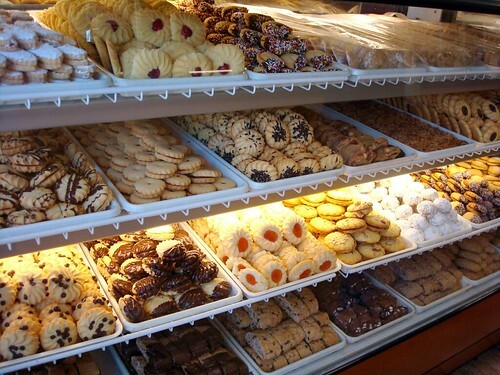 The smell upon entering this shop was incredible, and the rows of baked goods in the cases were beautifully arranged and appealing. Keeping it simple we opted for the (huge!) 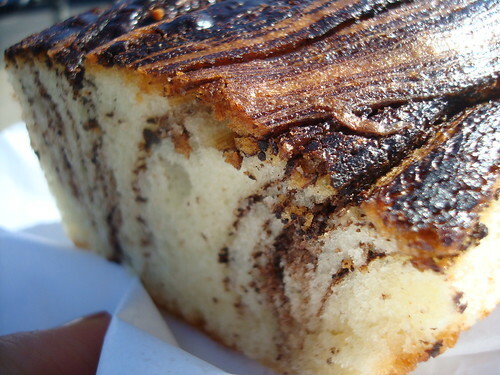 marble pound cake. 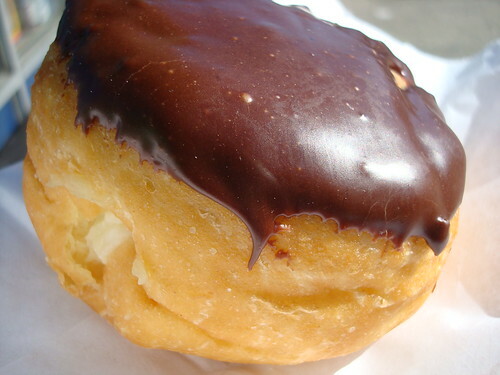 The buttery cake, threaded with bittersweet chocolate, was a dreamy, light and decadent bite all at once. 786 Morris Park Avenue, Bronx; 718-239-9339. 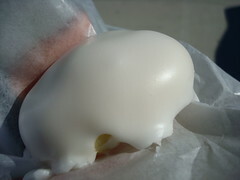 Online at contispastryshoppe.com. 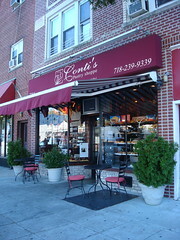 Enrico's: Not far from Conti's, Enrico's Pastry Shop is perhaps a misnomer--while they do have a pastry case, the other items--breads, italian ices, take up a lot more space here. For some reason, the cookies weren't singing to us here--but the filled doughnuts, freshly frosted, were quite good, with no scrimping on the cream filling. 1057 Morris Park Ave., Bronx; (718) 823-7207. 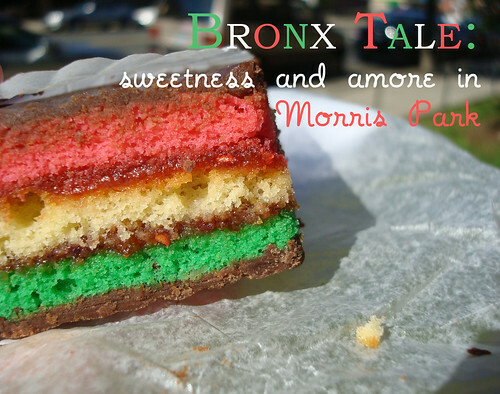 Morris Park Bake Shop: We've read mixed reviews online, citing that some of the employees aren't very friendly--however, we had a great experience here. The staff was beyond friendly, and more than willing to talk cookie with us. 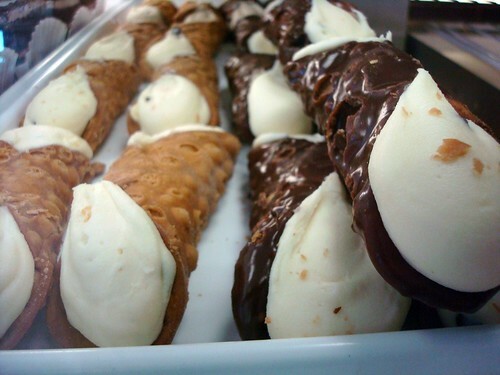 We chose a specialty which is common in New York but rarely seen in Seattle: the anginetti cookie. 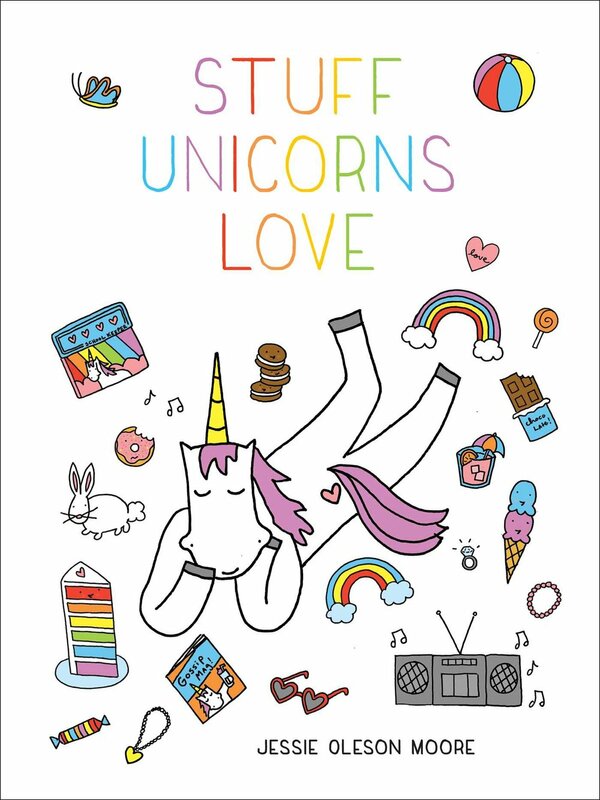 And oh, was it sugary, tart, sweet, and good. 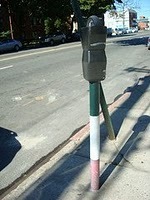 1007 Morris Park Ave, Bronx, NY 10462, Morris Park; (718) 892-4968. 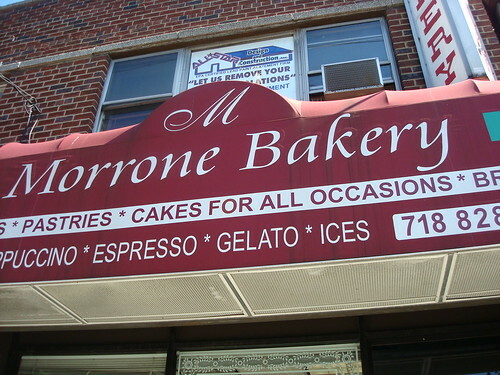 Morrone Bakery: (Cakespy Note: Not to be confused with the late, much-loved Morrone Bakery of East Harlem--though it may be the same family?). They get points off for service (the employee seemed far more interested in text messaging than in talking about the origin of Italian tricolor cookies with us), but really, the attractively displayed and well-lit array of baked goods spoke for themselves. We settled on a cakey tricolor cookie and a few butter cookies. 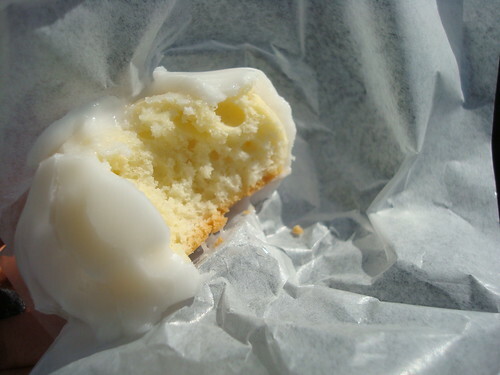 The butter cookies were nicely crumbly; the tricolor cake-cookie held its own--and was certainly a good-looking confection--but wasn't quite as good as the gussied-up version we picked up later the same day at How Sweet It Is in Manhattan. 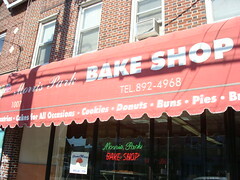 1946 Williamsbridge Road; Bronx, NY 10461 (718) 828-8111; another location on Arthur Avenue. How to get to Morris Park? We took the 5 train to the Morris Park stop. Check out more about the neighborhood here!